One of our wish lists is to look young as long as we can. This is possible only by effective skin care systems. 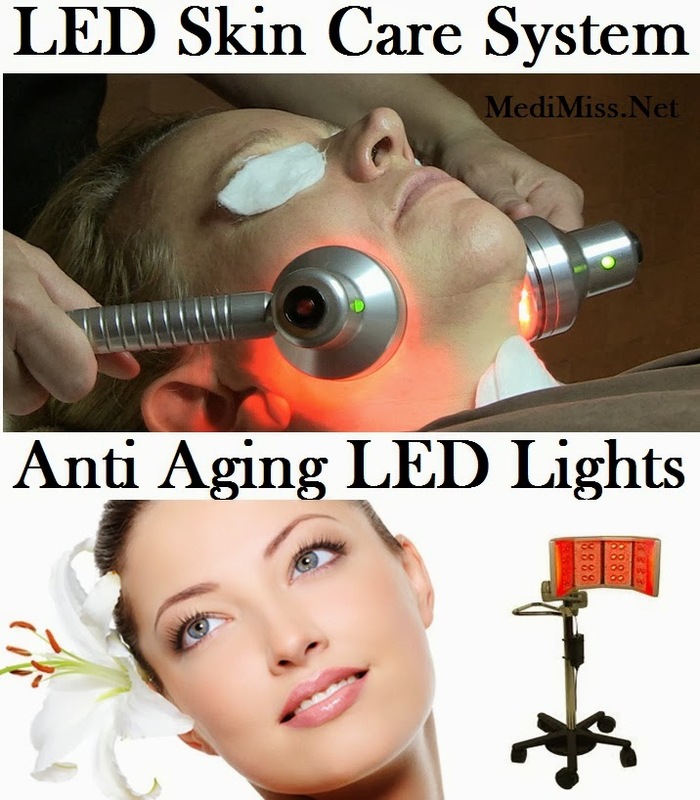 There are thousands of ways to do it, but LED skin care system or anti aging LED therapy is the most effective and convenient. This article is not an ad clip. We will try to review the LED skin care system scientifically. LED or Light Emitting Diode is a semiconductor device that produces light. The LED has an anode and a cathode separated by a crystal of semiconductor material. When a voltage is applied across the electrodes, current flows and LED emits light. A single LED produces small amount of light. Several LED's are combined to produce the desired amount of light. When LED is to be used for skin therapy, the band of wavelengths is important. LED produces light in a narrow band of wavelengths and phosphors are added to improve the spectrum of light. It is also possible to combine several LED's each producing a different wavelength to produce full spectrum light. Skin therapy is a scientific technique of revealing beautiful skin by nourishing it. Wrinkles, which are associated with old age, are result of collapsing collagen structure. The collagen is what offers strength, body, structure and elasticity to our skin tissues. As we catch up on years, our skin tissues are not able to divide as fast as they usually do at a young age. The fat cells right below our outer layer of skin gets consumed up and requires repairing or renewing to stop skin from sagging. This prevents development of fine lines and wrinkles on our face. Cosmetics, anti aging creams are not able to penetrate much below the outer layer of our skin to repair the fat cells. One of the recognized successful approach is LED skin therapy. The most important things in skin therapy is the wavelength and the total amount of energy applied. Red and near infrared lights have beneficial effects on cells as it is able to create more ATP (cellular energy) and increase DNA and RNA activity. The ideal wavelengths are between 600 and 900 nm. LED light arrays are able to produce these wavelengths. These wavelengths are able to pass through tissue up to one inch deep. The wavelengths from 600 and 900 nm pass through blood and water in tissue more easily than other wavelengths. Red and near infrared light penetrate tissue because they are not blocked by blood or water as much as other wavelengths. When light intensity at a particular wavelength is doubled, the amount of energy that reaches the particular depth is also doubled. In this way, the ability of the light to penetrate the tissue can be adjusted. Healing dose and application time will depend on several factors and this is best known to physicians. We all know that sunlight is good for our health. Sunlight helps sick people and enables people to be more active. Now we know from chemical or biological viewpoint injured cells need extra ATP to repair themselves. This extra ATP can be created by LED light and scientists are successful in generating this. Physicians have to learn the application and use it for the benefit of humanity. The subject is vast and open for scientific arguments.